Recently people have voiced dissatisfaction with the most recent officially licensed Star Wars roleplaying game. Me for example, among others. I thought the Star Wars Saga Edition game was pretty okay and clearly the best version of the d20 system I’ve ever seen. But it was still a d20 game and that one also just doesn’t feel right for Star Wars. So over the past weeks I’ve seen occasional mentions of the first Star Wars RPG that was released in the 80s by West End Games using the d6 system. While the name is similar, it works completely different than the d20 system. And from what people are saying about it, it supposedly works perfectly for running adventures that play and are paced like the Star Wars movies. But the game was discontinued 18 years ago, at a time when AD&D was still around. A while back I was wondering if there’s some kind of retroclone for that game, but it turns out that it’s even better than that. West End Games released the OpenD6 game under the OGL, including the free d6 Space pdf. And I think it looks quite interesting and would fit well for a Star Wars or Mass Effect campaign. But what if I were to tell you can actually get a modern and updated version of the game from the 90s even know, and that it is also completely free? The West End Games game had an original edition, a Revised Editon, and eventually a Revised and Expanded Edition. And last year a group of fans went ahead to make their own Revised, Expanded and Updated version. And it looks absolutely amazing. It’s a 512 page colossus and since it’s digital and not made for print they could make it look incredible without worrying about print costs. The layout looks great and frankly a lot better than what you see in most commercial RPGs. And soo much freaking full color interior art! The system itself is surprisingly simple, with the player section being only 62 pages and the GM section another 79 pages. The rest is adventures, and optional stats for specific aliens, vehicles, equipment and so on. I don’t know how long it will take me to read through this whole thing. Simply going with d6 Space certainly would be a lot faster and easier. But this thing looks so damn good, you just have to fall in love with it. I recommend to anyone with some passing interest in Star Wars or space operas to give a look to either d6 Space or REUP. I have so many problems with so many sci-fi games, and here I find this thing that seems to get it perfectly right. And already did so 28 years ago! A while back I was reading the old Basic and Expert sets for Dungeons & Dragons and while there’s some unnecessarily convoluted math in them, the basic framework also seems so much better than almost anything that has come in the three decades after it. Instead of improvements, games since then seem to mostly have added needless clutter. (Barbarians of Lemuria and Basic Fantasy being two notable exceptions I am familiar with.) Most retroclones for D&D take lots of effort at looking super retro, using boring fonts and layout and art that is in my opinion deliberately bad. REUP is nothing like that. This game looks new, modern, and fresh and you have to know that the mechanics are 28 years old to recognize it as a retroclone. Obviously, this whole thing does look somewhat dodgy though. Using the OGL and d6 Space, recreating a set of rules that closely mimics an older commercial game is nothing different from the common practice of the entire OSR crowd and the D&D retroclones. Just speaking mechanically, it seems very comparable to OSRIC or Sword & Wizardry. And it has been a long standing practice that companies usually don’t interfere with fans making hacks for RPGs that let them play adventures in the worlds of movies, TV shows, or videogames. But usually those things are a few pages of conversion notes with the most simple and basic layout. REUP is a completely different dimension, even though it’s still completely noncommercial. But as long as it’s silently tolerated it really is a damn fine looking game. Valarn is the land between the Tavir and Akai mountains, reaching from the coast of the Inner Sea far inland into the endless forests that dominate almost all of the northern Ancient Lands. It is the homeland of the Eylahen and also contains many settlements of skeyn in the foothills of the Tavirs in the east, as well as many small clans of Vanyar that have come down from the Akais in the west over the past centuries. The Sakaya: Most Vanyar in Valarn were originally mercenaries who were hired to guard caravans transporting salt from the Akais to the ports of the Inner Sea and the elven lands. One particular of these mercenary groups were the warriors of the Sakaya, a religious order from the Akai Mountains who believe in always working on improving ones professional skills. In times of little threat to their communities by other clans of the mountains, their warriors often travel the Ancient Lands looking for work as mercenaries. About two centuries ago some groups decided not return to the mountains and share the money they earned with their monasteries, but to keep working as mercenaries permanently. And in times where work was scarce, they turned to raiding. While the Sakaya of the Akai Mountains greatly disapprove of this practice, the mercenary bands dropped almost all ties with them and since started to recruit their own new members and focus exclusively on increasing their skills as warriors, relying on tribute and ransom from local towns for anything else they need. These Sakaya are highly valued mercenaries by those who can afford their service and they changed the outcome of many wars between clans on the Inner Sea. But in the last century they have steadily increased in numbers and begun to make a habit starting small wars for their own benefit, which makes many of the chiefs and kings of Valarn very uneasy. Keltir is a vast and not clearly defined region within the endless forests north of Valarn. Few people live in this land, most being Eylahen or some smaller groups of Vanyar or skeyn, with a few groups of roaming kaas occasionally being seen. Fey Courts: Ruins of old fey castles can be found almost everywhere in the Ancient Lands but except for the naga of Kemesh their builders have almost entirely disappeared from the world of mortals. Deep within the ancient forests of Keltir, not all of the old castles are abandoned and there are many stories of courts of shie that rule over them to this day. The Akai Mountains are a large mountain range on the western coast of the Inner Sea, rising above the coastal plains only a few dozen miles from the sea and stretching far inland towards the west. These mountains have been a hiding place for the Vanyar for countless generations, as they were outside the range of both the shie in the north and the naga in the south during the time when the fey races ruled the world. Dispersed over a large and almost barren landscape and being only few in number, the Vanyar were little known to either the elves or the lizardmen until relatively recently. While today they are known as salt traders and mercenaries throughout the Inner Sea region, their mountainous homeland is still a dangerous wilderness with small fortified villages and almost no major towns other than the great monasteries of the Sakaya. There’s no specific theme for this region yet. Baikat is the land of the Red River, which runs south from the Akai Mountains and then turns east towards the Inner Sea. Even though Baikat is a very flat land with few major hills or mountains, it lies well above the coastal lowlands and recieves only little rain. It’s mostly dry grass and shrubs with occasional forests of small hardy trees, but some parts consist only of bare clay or gravel. The Red River has carved a huge canyon that cuts deep into the otherwise almost featureless land and contains the vast majority of all water in the region. The canyon is so deep that even though the land drops quite steeply as it approaches the coast, ships can travel up the river all the way from the sea to the feet of the Akai Mountains. There are many caves in the canyon walls, many of which have been made into villages, fortresses, or shrines. The coast on the eastern edge of Baikal is very different from the highland plains, consisting of the massive Kuremo swamp at the mouth of the Red River. During the summer rains, most rain falls on these swamplands and few clouds make it to the top of the cliffs that form the border to the highlands. The highlands are the homeland of the Ruyaki, especially south of the Red River, while the northern section has become home to smaller groups of Vanyar. Again, sadly no strong theme for the region yet. The Mahiri Jungles begin south of Baikat and form the westernmost part of the southern coast of the Inner Sea. Along the coast the Yagashi have several major ports that are important centers of trade, but the culture heart of the tribe is deep within the jungles, based around vast temple cities. Alchemical Wonders: The Mahiri Jungles are full of rare plants and stange insects found nowhere else in the Ancient Lands, many of which are extremely valuable for alchemists. They are an important source of wealth for many of the powerful merchant families on the coast and there is a very strong competition over control of both the trade and their sources. The Red Goddess: One of the temple cities in the Mahiri Jungles is ruled by its deity itself. The Red Goddess is a powerful red skinned shie who has ruled over her domain far longer than any of the oldest Yagashi who serve her. Her grandchildren and great-grandchildren form a powerful caste of priest-administrators whose influence reaches far beyond the borders of this land. Sarhat is the greatest kingdom found anywhere in the Ancient Lands and the only country of its kind. Once part of the lands ruled by the naga, the lizardfolk slaves of the western cities rebelled almost a thousand years ago, succesfully driving the naga to the east into Kemesh and creating their own kingdom as the Mayaka. The Royal Guard: In addition to the vast armies of warriors, the king of Sarhat also has command over a strong force of elite warriors who guard his palace and the capital city, but are also frequently send on special tasks related to protecting the kingdom from its enemies, which is mostly the naga of Kemesh but also dissenters against the dominant Temple of the Sun. Sometimes these tasks lead members of the guard to other regions of the Ancient Lands as well. The islands of Suvanea lie between the Inner Sea and the ocean, southeast from Senkand and north of Kemesh and Sarhat. Consisting of thousands of often very small islands, the region is home both to the Gandju lizardmen and the Amakari humans. As neither tribe is very numerous or builds any large towns or cities, there is not a lot of trade going on in the region and the waters are difficult to navigate for sailors used mostly to traveling between cities on the coast. Pirates: The waters of Suvanea are full small islands and reefs, making it very easy for ships to get lost or running on ground. It is not only Gandju and Amakari who plunder the wrecks, but there are also many bands of pirates from other lands using the islands as hidden camps and hunting grounds. Most of them are Keyren or Yagashi, but many ships have highly mixed crews including Neshanen, Amakari, Gandju, and recently also some Vanyar. In its current form the Ancient Lands consist of 16 that are described in some detail. They only cover about 10% of the map of the region but are home the the majority of the population. Each region can be seen as an individual mini-setting in a way, but unlike a considerable number of kitchen sink settings they are not made in a vacuum. Most tribes are found in more than just one region and they are all deeply connected by culture and trade, even if they are separated by hundreds of miles of trackless wilderness or open sea. The goal for each region is to provide a strong cultural environment as well as a template for landscapes and wildlives, including several example settlements and adventuring sites that help estabish the tone of the region and can also be put directly into an adventure. But in the end, most settlements in the Ancient Lands are highly independent and connected to their immediate neighbors, with only few major cultural or political centers. With the regions being mostly defined by themes and culture instead of specific centers of power where all the important things are happening, it would be futile to attempt to cover everything, and also pointless. Venlad is the distant northern land of the Mari who catch fish and hunt seals and whales on the coasts and herd reindeer on the tundra. Most visitors are traders who come to the few larger ports to trade goods from the south for pelts, dried fish, whalebone, and walrus tusks. I want to do something with the spirits of winter and cold, but no clear idea for adventure hooks yet. This is the homeland of the kaas, a race of tall and strong beastmen. It consists of large subarctic forests and is surrounded by steep mountains and jagged hills. There are also some town and fortresses of skeyn and Keyren on the southern borders of this land. I also don’t have any specifics for the main plot hooks yet, other than kaas clans getting into wars with each other. The Witchfens are a large moor south of Yakun and west of Revand. There are a few rocky hills and small clusters of birches in a few places, but mostly it’s just and endless land of shrubs and bogs, prone to frequent rain and often covered by fog. Only the Kaska make their homes in this dreary land, as they believe something below the waters is keeping away the angry spirits that have sworn eternal revenge against them for a terrible blasphemy in the past. Trailing Raiders: The Kaska are very poor people and barely get by surviving in this land by hunting and growing a few meager crops. Bands of raiders often sneak into Revand and Yakun to get whatever weapons, food, cloth, and slaves they can before returning swiftly into the fens. Only the bravest heroes dare following them into the thick fogs to rescue prisoners or retrieve stolen relics. Spirits of the Fens: The Witchfens are a strange land inhabited by even stranger spirits. Many believe the dark pools that dot the landscape to lead to the Underworld and that there are many demons mingling with the spirits. The clans of the Kaska have made pacts with these dark spirits to protect them from the wrath of their old gods, but even they don’t know exactly what powers they are dealing with. Revand is a stretch of coast north of the Tavir Mountains, sparsely inhabited by the descendants of the Keyren who didn’t leave for the islands of Halond to the east. The land lies in the shadow of the mountains in more than one sense, as they are almost permanently shrouded by a misty haze that obscures the sun even on a clear day. Strange creatures are often found in the great rivers that come down from the mountains and few people live far from the coast where the forest are lightest and a steady breeze from the sea keeps the air clean. The deeper one travels into the forest, the darker and gloomier they get, and dangerous creatures can be found in large numbers. Tombs of the Ancestors: Very few ruins of old fey castles are found in Revand and even on the coast there are not many traces of the naga, which might be one of the reasons why the ancestors of the Keyren lived in this unwelcoming place. But deeper within the forests are the tombs of ancient elves, build with the most primitive methods but often withstanding the passing of the ages with remarkably little damage. The elves living on the coast avoid going anywhere near them as many are haunted by wights. From the Deeps: Something about the gloom of Revand seems to be strangely attracting to creatures from the sea, especially the lagura fishmen. They are often seen roaming the beaches at night and can be quite a danger to smaller fishing villages. Death in the Water: The people Revand generally avoid drinking the water from the large rivers that flow from the Tavir Mountains and don’t swim in it until absolutely necessary. But sometimes the water becomes much more foul than usual, spreading illness and noxious fumes along their banks. Traveling up the river by boat to discover and put and end to to the sources of these blights is something even the most seasoned warriors rarely dare to attempt. Halond is a land of numerous islands, many miles off the coast of Revand in the Northern Sea. Several of the larger islands in the south have been settled by Keyren who now far outnumber their kin on the mainland. It is a land of short and mild summers and cold rainy winters, covered mostly by trees but also having several mountain ranges that most visitors would not expect. Lords of the Sea: Many of the gods worshipped by the Keyren seem strange to other peoples of the Ancient Lands and barely recognizable as the same ones worshipped in other lands. Many of the smaller islands have small shrines to spirits of the sea and not all of them are build and visited by the elves. Many of the more remote villages have frequent contact with strange creatures from the sea not usually seen or known in civilized regions. Merchant Lords: Even though scarce in valuable resources, Halond has become a very rich land due to the merchant ships that travel all across the Inner and Northern Seas and as far as Venlad and Sarhat. The captains and the owners of these ships are very influential people and not just in their homeland. Few people have as much control over trade in the Ancient Lands as the merchant lords in distant Halond. The Arkeans are a small group of rocky islands east of Senkand and the Tavir Mountains. Ships traveling between Revand and Senkand avoid getting anywhere near them as they are covered in the ruins of an old civilization of naga. Usually scholars and treasure hunters from all over the Ancient Lands would come flying to such a place to rid it of its ancient treasures, but the Arkeans are well known as a place ravaged and devastated by sorcery. Nobody knows what happened to the sorcerers who once lived there and whether they abandoned the place or were all killed in some terrible release of sorcery. Either way, the islands are almost inhabitable today, still being firmly in the grip of the Corruption caused by huge amounts of sorcerous magic after more than a thousand years. Anyone who gets near their rocky shores immediately feels their strength draining from them, breathing becoming painful and bones starting to ache. Few who explored these ruins stayed for more than a few days and many have been killed by the ghouls and wraiths of those who came before them much faster than by the Corruption itself. Quest for Power: In recent decades sorcerers from Senkand have started to become more interested in the ruins that cover the island and confident that their powers can protect them from both the Corruption and the undead. Though their spies the naga of Kemesh have become aware of this increased interest and many of them have their own plans to reclaim the secrets of their ancient kin before they fall into elven hands. The Tavir Mountains are of the main mountain ranges of the Ancient Lands, separating the two coastal lands of Revand and Senkand. Many of the mountains are volcanoes and earthquakes and eruptions of toxic fumes are common in the region. It is commonly accepted throughout the Ancient Lands that many of these vents lead all the way down into the Underworld and many encounters with ash, rock, and tar demons are very compelling evidence that this is correct. Despite all these dangers there are considerable numbers of people living in the mountains. These hillfolk appear to be the descendants of Neshanen, Eylahen, and Keyren who have been intermingling for countless generations, and also include many half-elves descended from Vanyar and possibly Kaska mercenaries who escaped from battles in the surroundig lands. These hill people avoid most contact with people from the lowlands and a fierce enemies of both druids and sorcerers and worship the spirits of the Underworld as gods. Rise of Demons: The Tavir Mountains are most likely the most demon haunted place in the Ancient Lands. Both the Druids and sorcerers from Senkand have considerable interest in this region, though for completely opposite reasons. Both groups frequently send agents and expeditions into the mountains to learn more about the demons and the effects of magic seeping up from the ground. The local hillfolk tend to be hostile to either, as they see them as enemies of their gods. The land of the Neshanen is one of the most advanced places in the Ancient Lands in building, trade, learning, and magic. Most people live near the coast as the land at the foot of the Tavir Mountains is poorly suited for farming. There are more than a dozen port cities and towns in this region and it’s location between the Inner Sea and the Northlands makes it a major center for trade. Sorcerer Lords: Though sorcerers are not usually ruling the cities of the Neshanen, they have a far greater amount of power in this land than anywhere else outside the naga citadels of Kemesh. Most sorcerers come from important families whose wealth serves them well in recovering ancient relics and the creation of great magical wonders. Many people in the courts of Senkand see sorcery as a great potential source for future wealth and power and there is no clear separation between the aristocracy and the sorcerous societies in this land. Morrowind is one of the truly amazing RPGs among videogames. Over the last 20 years there probably have been hundreds of fantasy videogames, but Morrowind has always been in a category of its own. Even when you look at fantasy works in other mediums, it’s still something very unusual and quite unique. Most recently Skyrim has had a huge impact as the last game of the Elder Scrolls series, but as pretty as the world of that game is, it’s still mostly pretty ordinary European-style medieval fantasy, with Vikings driving out the Roman Empire from their land and some dragons and elves for good measure. Nothing we havn’t seen a thousand times before. But Morrowind, even being set on the same planet and right next door, is a place very much unlike anything else in fantasy. The most similar setting I can think of would be the AD&D world Dark Sun, and you might also consider the venerable common ancestor of all heroic fantasy and space opera Barsoom from A Princess of Mars. 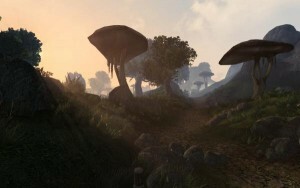 Very obviously on first glance is that Morrowind and these other settings have very unique landscapes and wildlives, as I had mentioned two weeks back. The plants look different and there are many common animals that are not seen as monsters but are completely unlike any animal we have on earth. (Or at least in Europe and North America.) And even more, there is also a noticable absence of almost any animals we are familiar with. But that is only on the very surface and only affects how the world looks. While the visuals in Morrowind look great, it is not all there is to it and this element is mostly irrelevant for stories or campaign settings. Strange looking animals and plants don’t make a difference by themselves in regards to how the world and the people in it tick. I’ve been discussing this topic with other people over the last weeks and it resulted in quite a number of very great thoughts, realizations, and discoveries about what you can do to create a world that feels similar to Morrowind without being a direct copy of it. And even if that’s not your intention, any single one of these should be useful as a starting point to making your work more unique and different from the standard medieval European fantasy. It sounds like Frankenstein vs. Space Vampires at first, but I think it’s actually a briliant idea. I thought the Predator series had already done everything that could be done with the concept by having 1vs1 in the Jungle, 1vs1 in L.A., and Team Death Match on a Jungle Planet all covered. 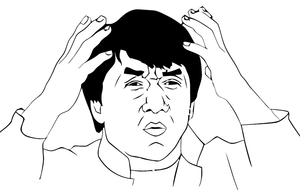 But who is to say that the Predator from the first movie was the first that ever came to Earth for hunting? 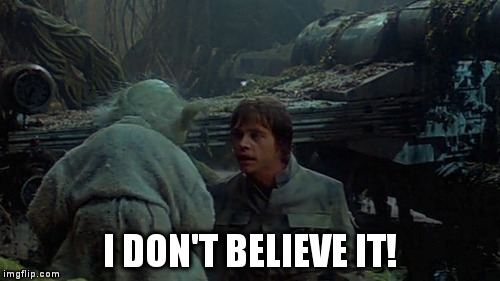 All these dudes care about is finding the biggest baddest motherfuckers in the universe and challenging them to a fight to the death. 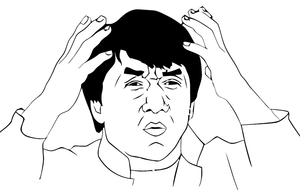 And the whole point of the series is that these fights are not about fancy weapons but about the challenge. When one of the Predators sees a guy with a sword in an open field in the third movie, he’s all up for it and doesn’t use any of his high tech gear. And there have been plenty of badass warriors throughout all of human history, which a Predator probably would enjoy very much to fight. Doesn’t have to be the Mongols and it could just as well be the Romans, the Celts, ancient Indians, or pretty much anybody else. Since I don’t expect it to be made into an actual movie, I think it’s still a great idea that could be made into a novel, and a completely serious one. A classic fantasy monster hunt, but it turns out that the demon is actually an alien and it’s supernatural powers are actually the result of the strange artifacts it carries. I think it could work either as a pseudo-historical story or be set in an all out fantasy world. Mixing fantasy and science-fiction is no new idea, but that always had a 30s or 60s retro-style to it. This seems like a very interesting way to explore the idea in a more modern style. Licensing options coming for AGE system? According to comments made by Jack Norris and Chris Pramas on various forums, Green Ronin publishing is having plans to introduce a license next year that will allow others to release material for the Fantasy Age system with their official permission. The intention is to use something similar to the licensing options for Savage Worlds, which after a quick lookover seem very similar to those offered for Numenera. The approach is quite different to the d20 OGL in that it requires each product released under them to make it very clear that it is an extension to the official game, something you are explicitly forbidden to do for Dungeons & Dragons 3rd edition. They also don’t allow you to replicate the entire rules in either unaltered or modified form. You can create new rules and even have them override regular rules of the standard rules system, but either way there is no legal way to make a stand alone product. How the lincenses for Fantasy Age will look specifically we’ll have to see once they are publically announced. But I already consider this very good news. Fantasy Age really feels like a system that is perfectly suited to be released to the crowds and modified and adapted to a wide variety of creative ideas. People have criticized the Basic Rulebook for being a bit too generic and lightweight, which is not entirely unjustified. But as a basic rules system to expand upon it really seems quite perfect. Having it be just the bare bones actually seems beneficial for that purpose, as adaptations for specific genres and settings mostly only have to add new rules instead of removing or overriding existing ones, which would be a lot easier to manage and less confusing for readers. The OGL was a huge boost for the do it yourself crowd and small business publishers of RPG, even though in my oppinion the d20 system is really quite terrible. The big mistake WotC made was probably to force publishers big and small, as well as fan creators, to clearly renounce any kind of association with the company or the Dungeons & Dragons game. Because they did just that and did their own separate things. What did they expect to happen with a license like that? The Savage Worlds and Numenera licenses are much more sensible in that way and not only require any buyer of these products to buy official rulebooks as well, but also constantly promote the main game. The AGE system seems so much better suited as a generic system than the d20 system (and also Savage Worlds, in my oppinion), and I am quite excited to see what we might be getting if these plans for licensing agreements come true. I, for one, welcome our new green overlords. I’ve been working on my Ancient Lands campaign setting for four years now and have very determined plans to eventually release it to the public in one way or another. The big question has always been whether to make it completely system independent or to provide a section with rules specific material for some open system or another. As I said before, Fantasy Age is very close to what I would have wanted to make if I were to make my own game and it really seems quite a perfect fit. Being able to release the Ancient Lands as an AGE system campaign setting would be a dream come true, and even if the license were more restrictive than those for Savage Worlds and Numenera, it would still work for my purposed. I don’t expect anything to happen for another year or so, but it’s still exciting to see an announcement of the plans that are currently being considered at Green Ronin. Author YoraPosted on 10/08/2015 17/04/2018 Categories rpgsTags Ancient Lands, Fantasy AgeLeave a comment on Licensing options coming for AGE system? Someone in a forum asked for fantasy novels set in a world with a style similar to the old videogame Morrowind (so far we’re mostly drawing blanks) and that got me thinking some more about that particular setting again. Back when I was 18 I thought it was a bit daring in how different it is from “proper fantasy” and it was ultimately the gameplay of the series that never got me really deeply invested in the game. But the setting and particularly it’s aesthetics stuck with me ever since and these days I hold it in very high esteem precisely because it’s so different. While the stuff I had been working with before I nailed down the original concept for the Ancient Lands was pretty generic standard fantasy stuff and I am not ditching everything of that just because it’s generic, I very quickly got excited about the idea of also drawing inspirations from some very nonstandard works to create a somewhat unique style for my own world. Among Morrowind and Star Wars, there’s also the two classic and very quirky Dungeons & Dragons settings Dark Sun and Planescape, the continent Kalimdor from Warcraft III and Xen’drik from Eberron, and at least visually I am very taken with the John Carter movie. And thinking about what makes Morrowind so unique and interesting that could be found in unrelated fantasy novels also got me to start looking for what things these settings have in common that I might incorporate directly into my own setting. And one very destinctive thing thing is that not only the environments look somewhat otherworldly, the wildlife is also completely different from what we have in Europe and North America. There are no dogs and wolves. Also no bears and no wild pigs. And people don’t keep horses, cows, and sheep. I already created a good number of animal-like creatures, mostly based on reptiles and insects, many of which can serve quite similar roles. So how about kicking out the dogs? And the wolves and the horses, and the sheep? Horses would be the biggest immediate change as far as players are concerned, but being all forests, mountains, and islands they didn’t really have much of a prominent presence in the setting to begin with. Usually “nonstandard fantasy” means not having elves and dwarves and giving people guns. (Yes, not only is there such a thing as “standard fantasy”, there’s also “standard nonstandard fantasy”.) But going the opposite direction and taking even more real world elements out of the setting and replacing them with more made up things might actually be a really interesting direction to explore. It worked for Dark Sun and Planescape, and those are probably the two best settings ever done for RPGs. Author YoraPosted on 06/08/2015 17/04/2018 Categories rpgs, worldbuilding, writingTags Ancient Lands, Morrowind, Planescape, Warcraft2 Comments on Who kicked the dogs out? 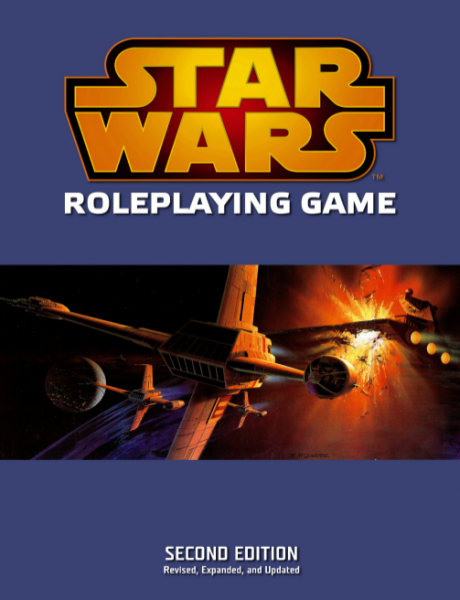 Fantasy Flight Games Star Wars RPG – What were they thinking?! 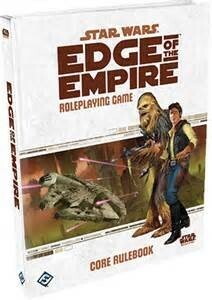 So last weekend at GenCon the third and final rulebook for Fantasy Flight Games new Star Wars RPG has been released. Because they made the descision to split the game into three and have separate rulebooks for smugglers, soldiers, and jedi and the game is using funky dice, I had not really been excited about it from the start. But now that all three books are actually there and you can play a propper Star Wars game, my curiosity returned again. At least a bit. First inconvenience I encountered is that there is no digital version of any of these books. Which means you have to buy the much more expensive hardcover book. And how expensive? 65€! Each! That’s a total of 195€! I can get a PS3 with a stack of games for that money. Who can afford that? I know that you’re not “supposed” to play with all three books and just one. But pretty much every single Star Wars movie, novel, and comic I can think of always has mixed parties of heroes. Narrowly defined parties go against the spirit of the setting. But let’s assume you have 200€ and nothing better to do with it than buying a new RPG. Are the books overpriced? Well, it seems almost reasonable given that they are 450 pages. Each! Who creates a 1350 page RPG? And this isn’t Mechwarrior or something like that. It’s freaking Star Wars. It’s a pulp setting for pulp adventures. How much rules can you possibly need for that? A tenth of that page count would have been completely sufficient. What were they thinking? Let’s compare that to the Star Wars Saga Edition game by Wizards of the Coast from the last decade. 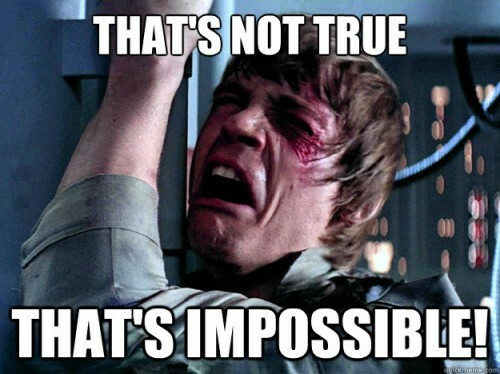 I believe it’s a revised edition of Star Wars d20 (on which Knights of the Old Republic seems to be based), and while d20 certainly is not a good choice for a Star Wars game (or for pretty much anything other than D&D), it’s so much more reasonable in scale. One book, 285 pages, $40 cover price. This new game seems like possibly the most ridicoulous game I’ve ever heard of. Though I don’t actually know anything about the rules or the content. Because I don’t have 200€ to indulge my curiosity. I love Star Wars RPGs, but even if I am not a huge fan of the Saga Edition or would be unable to find a copy of the out of print game, I could just as well go with Spirit of the Century or Stars Without Number. Which are free. Author YoraPosted on 05/08/2015 17/09/2017 Categories rpgs, Star Wars2 Comments on Fantasy Flight Games Star Wars RPG – What were they thinking? !